of Washing for Your New Car! 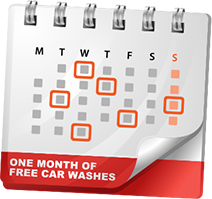 Receive ONE MONTH of UNLIMITED FREE car washes! Click on the logo of your choice to begin the registration process.